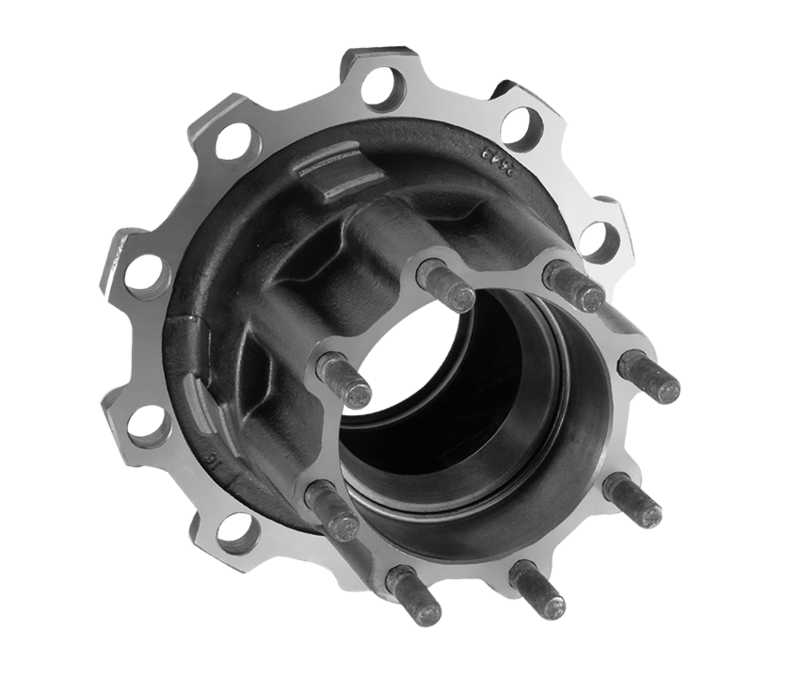 Webb hubs are available for steel or aluminum disc wheels and are the preferred choice in the aftermarket due to high product quality and convenient packaging. 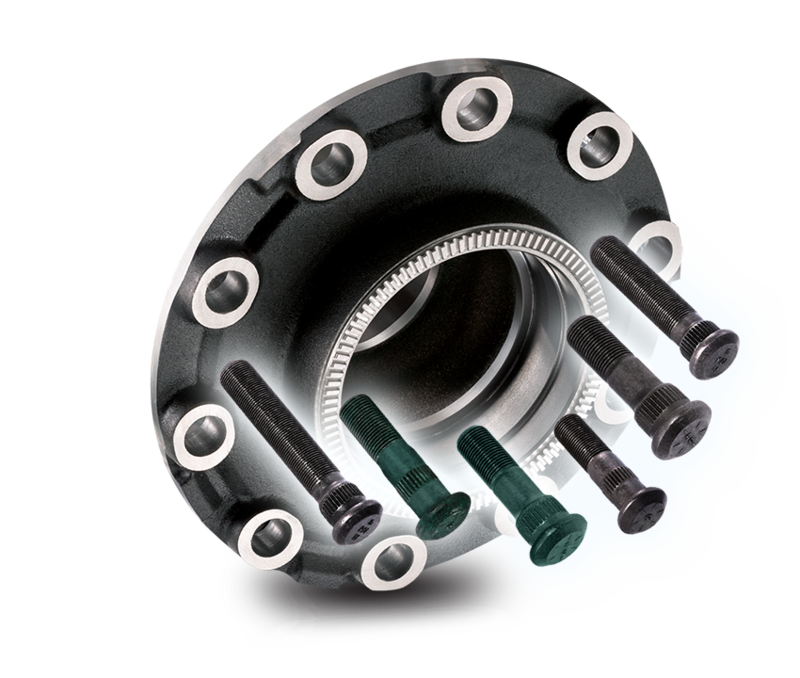 Our complete line includes heavy-duty hubs and hub assemblies for steering, drive and trailer axles. Trailer assemblies are available for brake drum applications in all popular sizes. Steering and drive axle hub assemblies are available for Class 6-7-8 trucks in all popular brake sizes using brake drums or rotors. Webb drive, steering and trailer hubs are available with or without ABS. 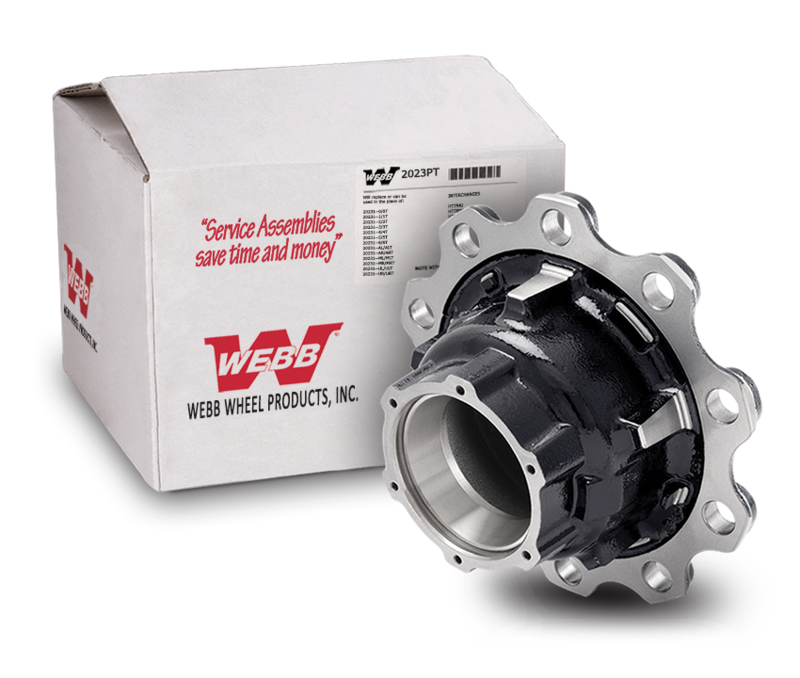 Webb offers four top selling hubs conveniently packaged for you in our Boxed Hub Program. The 1020P includes a 1020T hub and bearing cups; the 2023PT, 2323PT and 2343PT include hubs with ABS and bearing cups. When you add the proper studs to the boxed hubs you can satisfy 18 hub assemblies with only four Webb part numbers. The assemblies that you can create or replace with each boxed hub are listed right on the label to help you serve your customers quickly and easily. The Webb Wheel Boxed Stud Program offers conveniently packaged studs to complement our Boxed Hub Program. The assemblies that you can create or replace with these programs are listed right on the labels to help you serve your customers quickly and easily. So now you can take care of your customers in less time, with greater ease at lower inventory cost. It’s no wonder that Webb is the preferred choice in the aftermarket.